Product #17745 | SKU LPB-4OR | 0.0 (no ratings yet) Thanks for your rating! 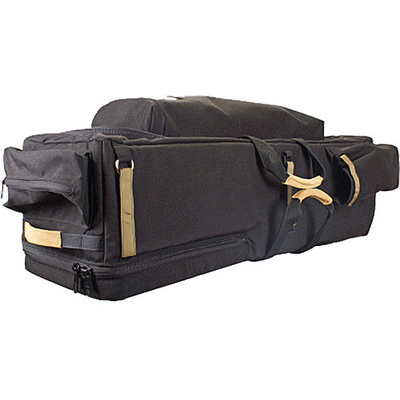 This Light Pack Case with Removable Wheels from Porta Brace is an enhancement of the popular LP4 case. The LPB-4OR features 1,000 denier, Cordura nylon construction, padded positionable compartments, large zippered interior pouch, zippered closure and fold-away backpack straps in addition to handles. One large and 1 small zippered exterior pouch provide quick access to items frequently used in transport while a cinched half-pouch accepts tripod legs or light stands on the outside of the case. A built- in, retractable pull handle allows you to utilize the removable wheels in transport.